A cute bar of chocolate for a cute little boy. 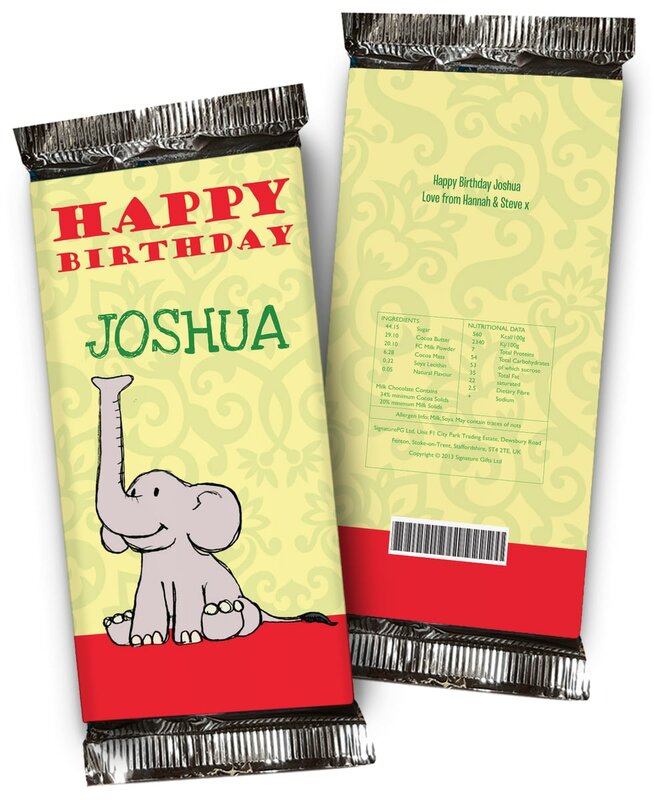 This happy little elephant design will help wish a happy Birthday to the special little someone you know. Including his name on the front, and a message for you on the back, this is much tastier than a card!